In the Kingdom of Arthwen, there was a very unusual shop. It wasn't on the high street; it was deep in the forest. It wasn't in a building; it was inside a tree. It didn't sell food or clothes or toys; this shop sold potions. Tibben wants to be the Potions Master one day, just like Grandpa, but for now he is an Apprentice, and there is lots to learn! 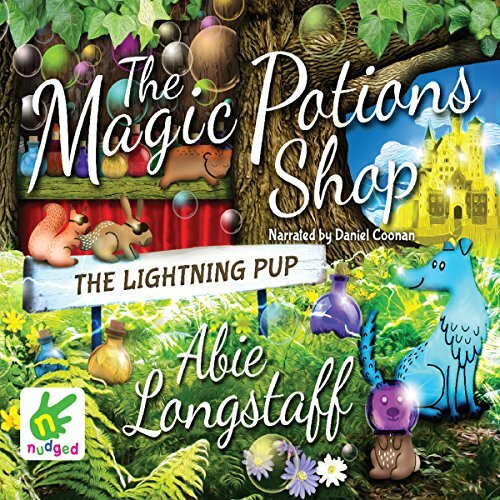 From the creator of the best-selling Fairytale Hairdresser series, Abie Longstaff, this story is perfect for engaging younger children. In the Kingdom of Arthwen, there was a very unusual shop. It wasn't on the high street; it was deep in the forest. It wasn't in a building; it was inside a tree. It didn't sell food or clothes or toys; this shop sold potions. Tibben wants to be the Potions Master one day, just like Grandpa, but for now he is an Apprentice, and there is lots to learn! 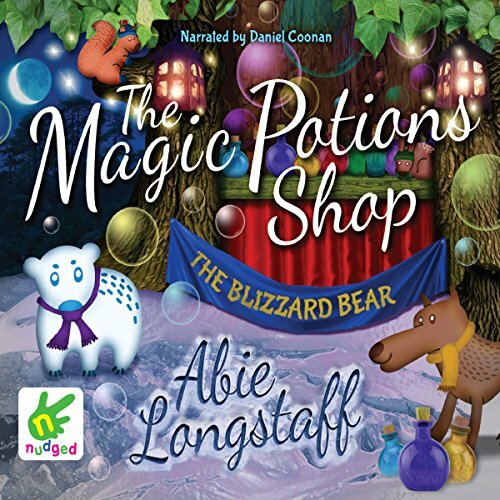 From the creator of the best-selling Fairytale Hairdresser series, Abie Longstaff, this story is perfect for engaging younger children. Tibben is the potions apprentice and helps Grandpa make spells to sell in their shop. Along with Wizz, a magical creature with a special gift for finding things, they set off on adventures to help the animals of Arthwen. 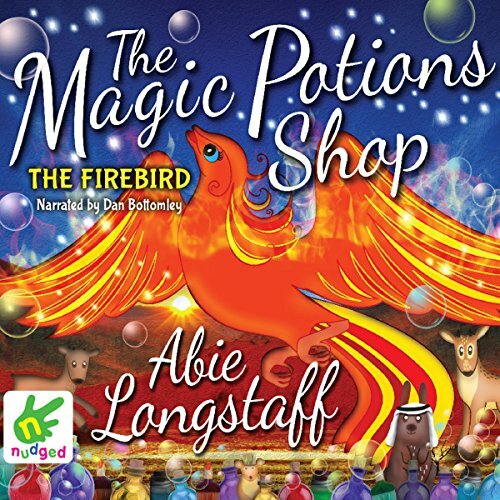 When the Water Sprites of Lake Sapphire start to feel poorly, it's up to Tibben and Wizz to find out what's making the magic waters of the kingdom dirty - can they solve the mystery? Deep in the forest there's a very special tree, and inside its trunk you'll find The Magic Potions Shop. When the sky goes dark, for no reason at all, Grandpa sends Tibben to the Frozen Tundra to find out why. The snowy plains are home to fierce-sounding magical creatures like Frost Wolves, Shadow Owls and Blizzard Bears! Tibben is nervous, but luckily his best friend Wizz is there to help him. Together, can they bring back the light? 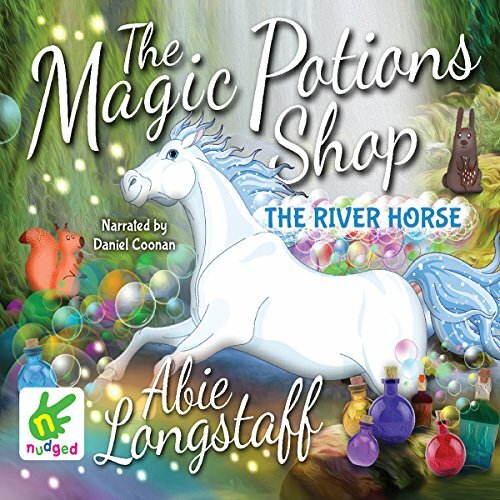 Deep in the forest, there's a very special tree, and inside its trunk you'll find The Magic Potions Shop. When the sky goes dark, for no reason at all Grandpa sends Tibben to the Frozen Tundra to find out why. The snowy plains are home to fierce-sounding magical creatures like Frost Wolves, Shadow Owls and Blizzard Bears! Tibben is nervous, but luckily his best friend, Wizz, is there to help him. Together, can they bring back the light? In the fifth magical adventure in the series from the creators of the Fairytale Hairdresser, Tibben, the Potions Master's apprentice, and his friend Wizz must journey to the Parched Desert to get to the bottom of the mystery fierce hot winds which are blowing sand all over the Kingdom of Arthwen! 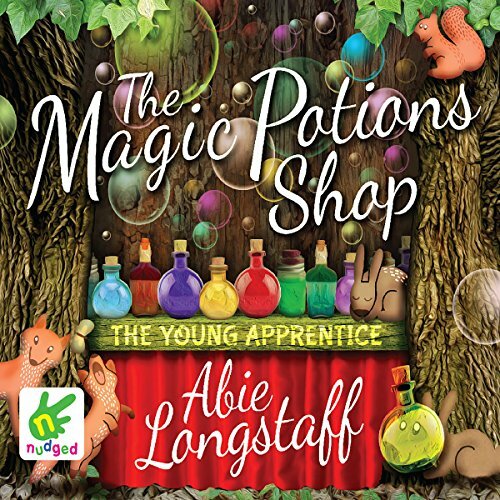 The time has come for young Tibben to take the test to become the new Potions Master. But he's going to need some help along the way, and the Emerald Dragon might well have to lend a hand...or a wing! 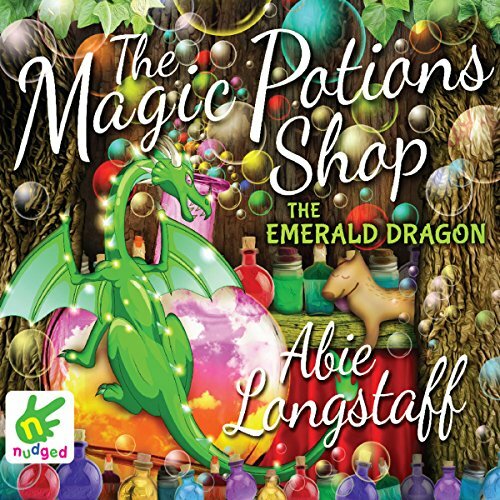 The Magic Faraway Tree meets Worst Witch - a magical young fiction series, perfect for first-time listeners.